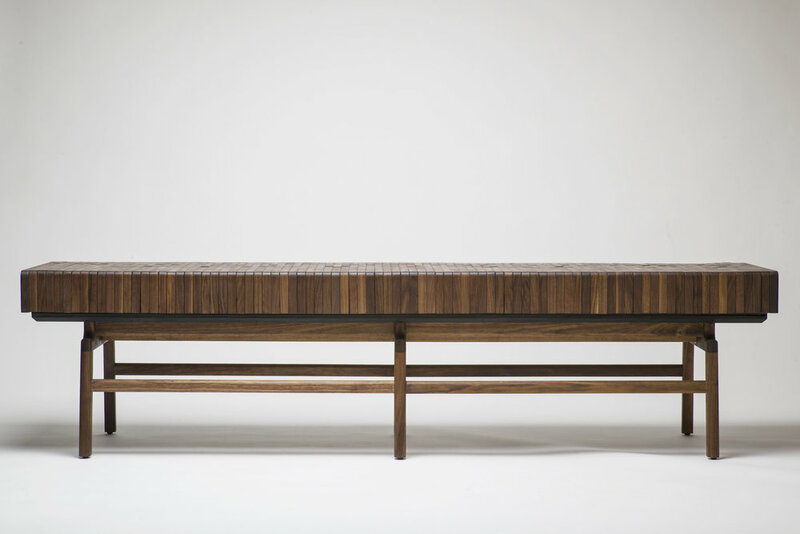 An inviting alternative to the classic wood bench, the Block Bench was designed to showcase the cushioning system visually and highlight the movement of the blocks. The compression of the pieces creates a natural curvature that is not only comfortable, but attention-grabbing. Please allow 6-8 weeks for fabrication. 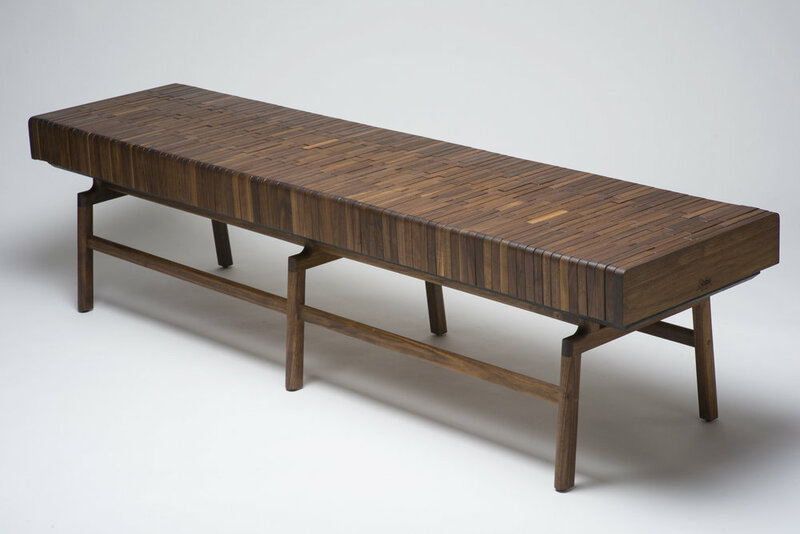 The Block Bench is available for purchase .